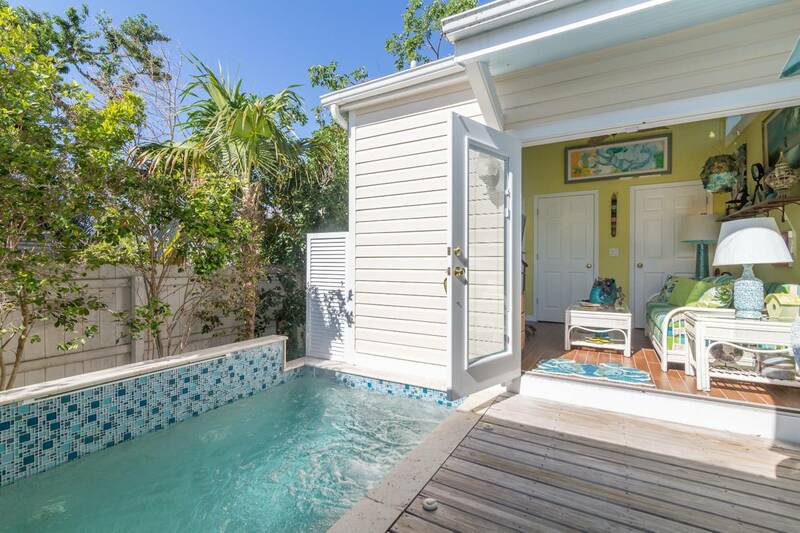 Located in a convenient spot in historic Old Town, this 1-bedroom 1 bathroom house with pool house and half-bath is between the Southernmost Point and the Ernest Hemingway House. 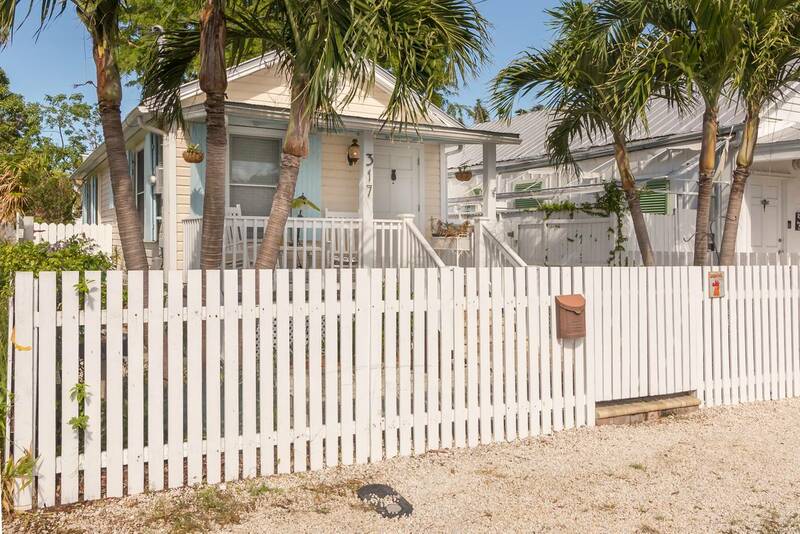 Open the door to Key West’s past when you arrive at Concha Cabana, a quaint, 1923 “shotgun” house that was originally a cigar maker’s home, just a stone’s throw from where the Atlantic Ocean meets the Gulf of Mexico. 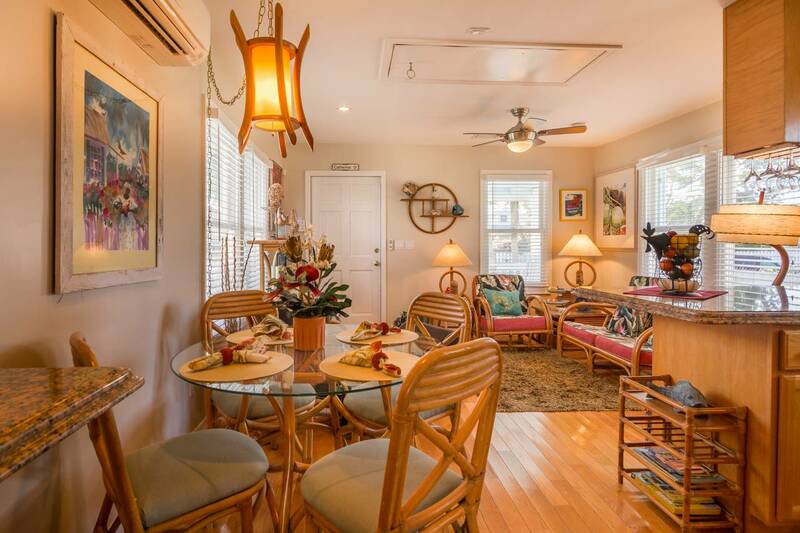 Near the corner where Whitehead Street meets Catherine Street, it’s only a block-and-a-half from Duval Street and the world-famous “La-Te-Da” and walking distance to the island’s famed lighthouse and The Green Parrot. 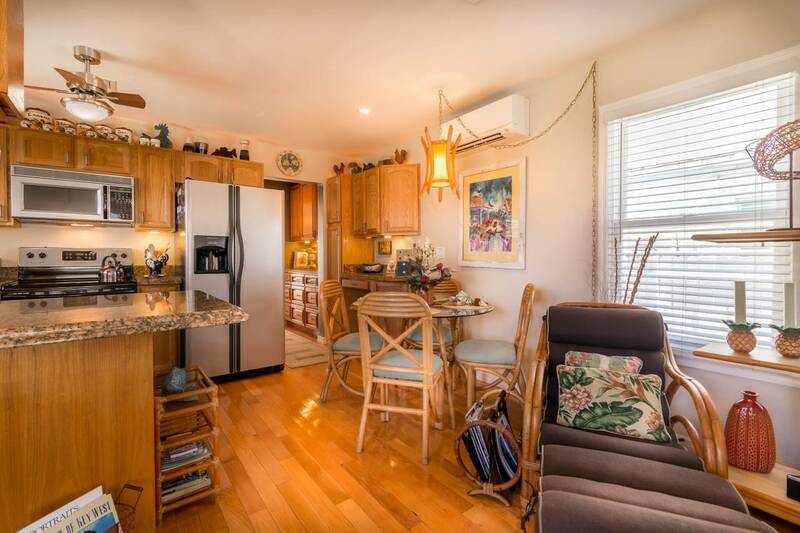 Completely restored, updated and uniquely furnished, you’ll find a cozy, turn-key-ready home away from home with everything you need for day-to-day relaxation. 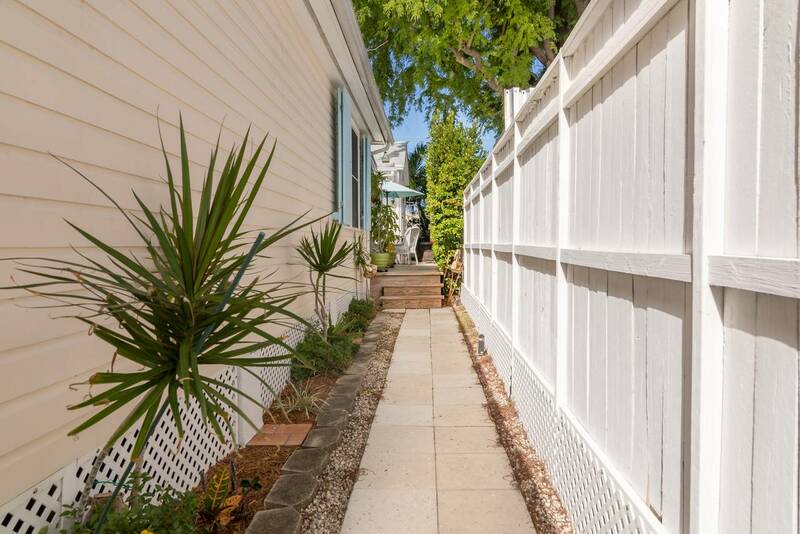 Behind the white picket fence is a paver sidewalk and steps leading to a cheery front porch with rocking chairs where you can sit and watch the locals and visitors pass by on foot, bicycles, scooters, skateboards or in strollers. 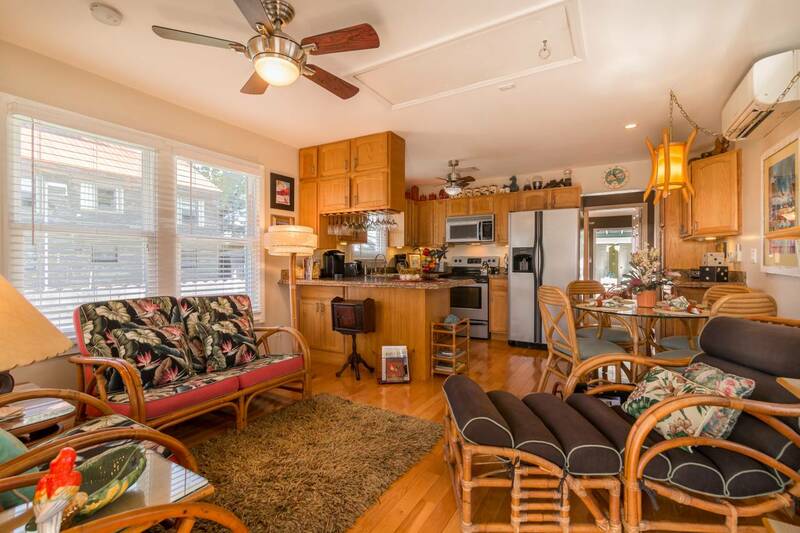 Furnished in vintage rattan seating and retro accents, the living room has a warm-colored wood floor and is sunlit by five large windows. 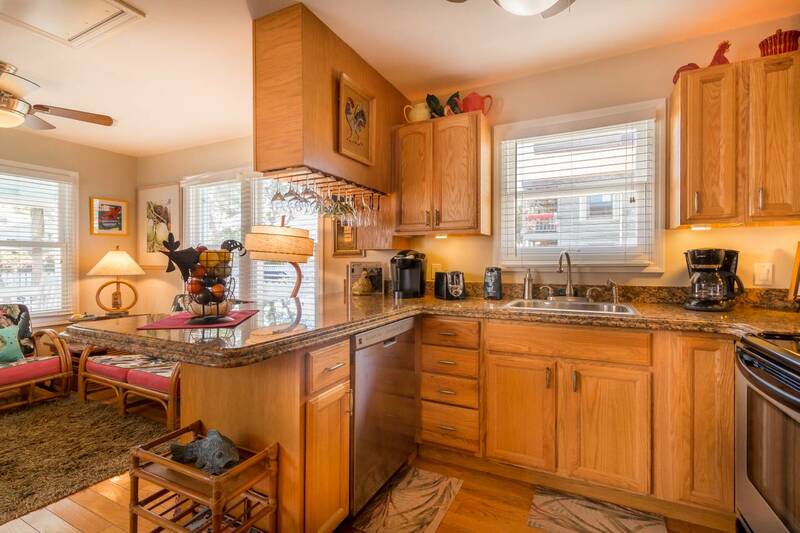 The modern kitchen with stainless steel appliances faces the living room with its wide bar perfect for entertaining. 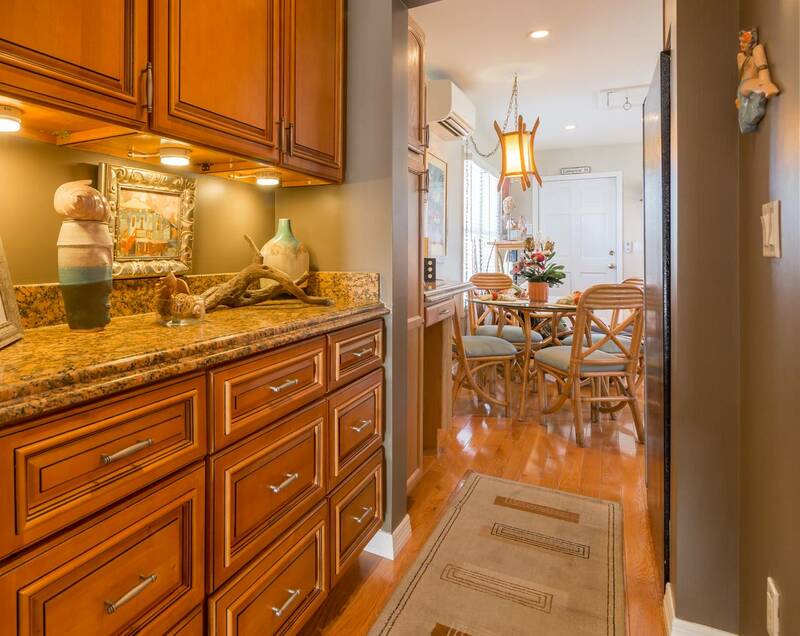 The counter tops are a striking earth-tone granite with real wood cabinetry offering plenty of storage. Dine at the vintage dinette under a rattan swag light. 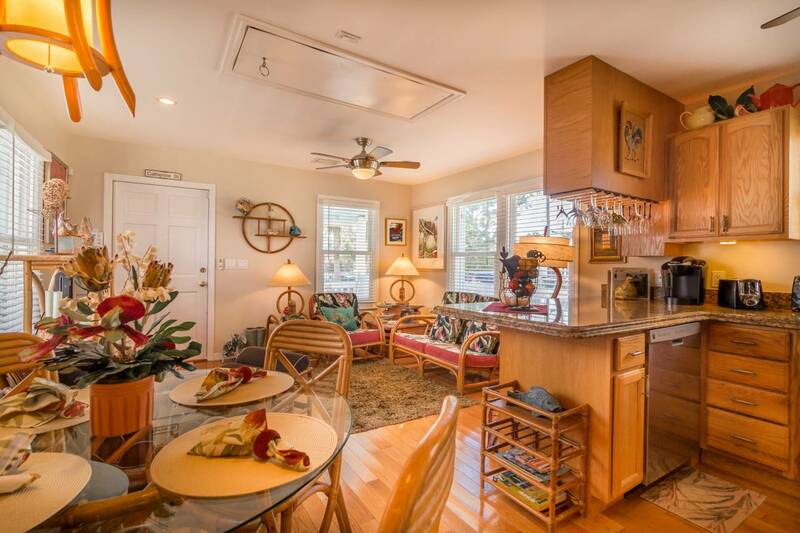 The convenient built-in desk is the perfect place to surf the internet or correspond with friends and family “off the rock” of Key West. 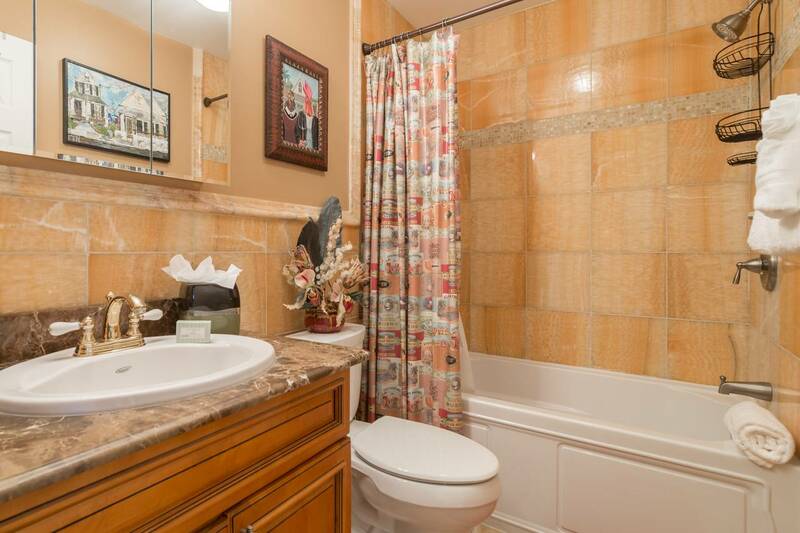 The nostalgic master bathroom has a pumpkin onyx tile interior and features a shower curtain with a vintage cigar label motif, a historical nod to Key West’s earlier days. 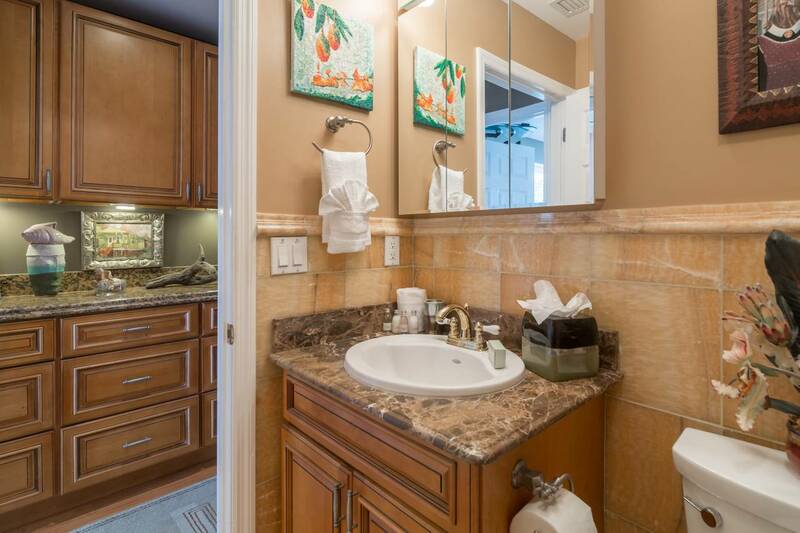 There is plenty of convenient storage including built-in drawers outside the bathroom door in the hallway to the bedroom. 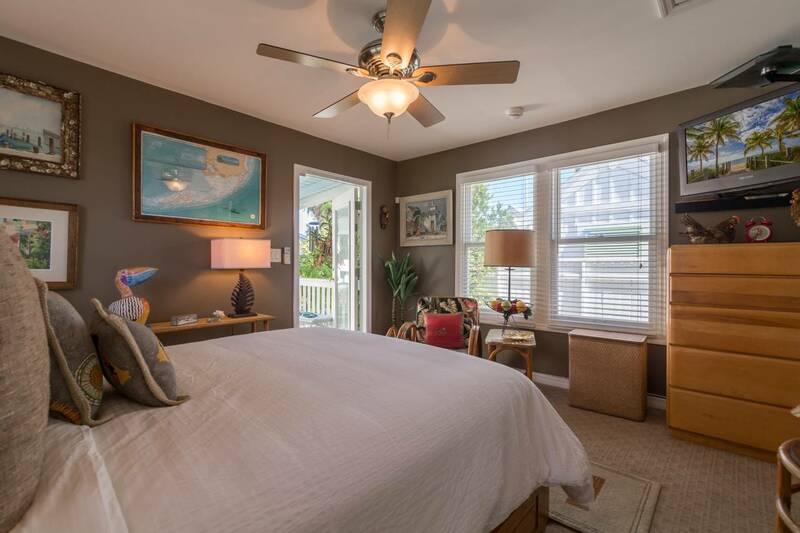 The large bedroom in the main house will make its guests feel right at home with a large closet – unusual in most Old Town homes. A vintage “blonde” “high-boy” chest of drawers by designer Russel Wright provides plenty of space in which to unpack your suitcase. 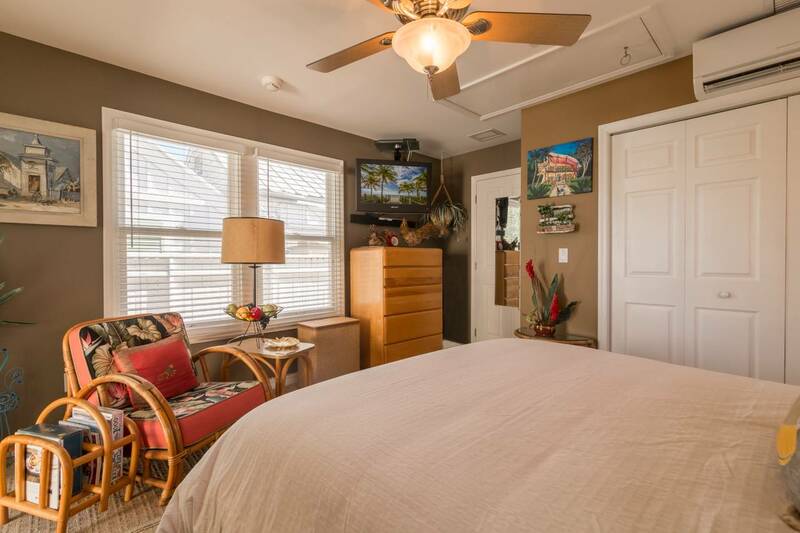 The Venetian blinds in the bedroom (and living room, too) provide your choice of sunlight or privacy. 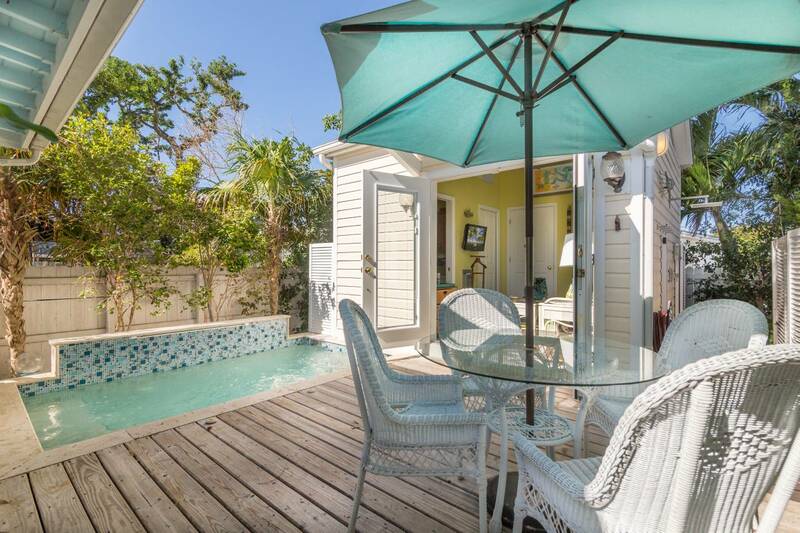 The back porch overlooks a colorful cocktail pool with whirlpool jets. 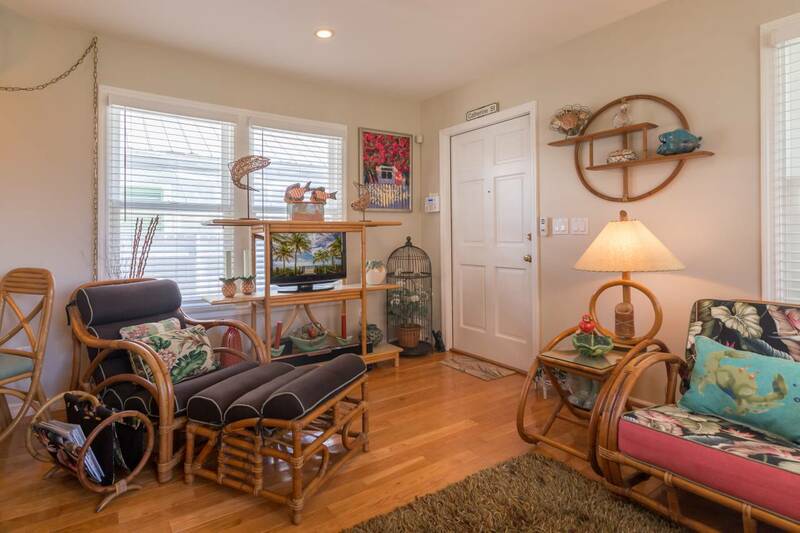 The wood deck includes a patio table with an umbrella that adds to the enjoyment of the comfy wicker settee and rocker on the back porch. 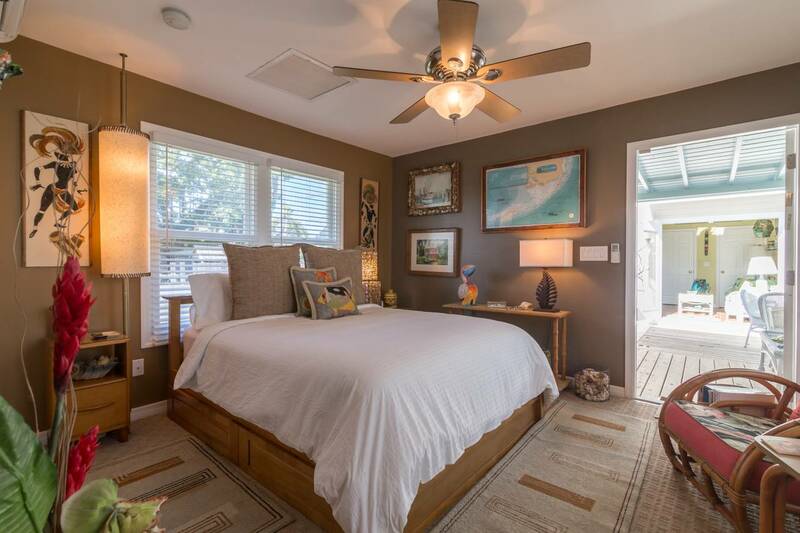 The deck connects the original house to a guest cottage. 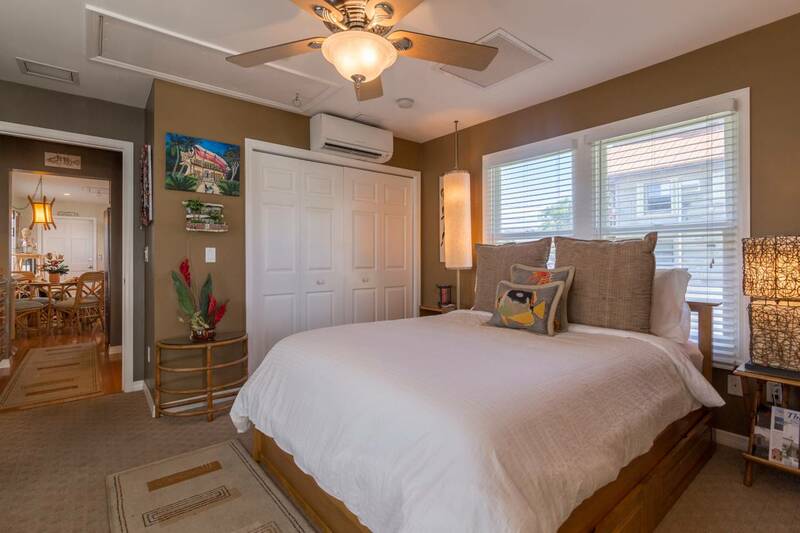 Concha Cabana is ideal for a single person or couple, but can accommodate up to four guests when using the queen-size pull-out sofa sleeper in the guest house. 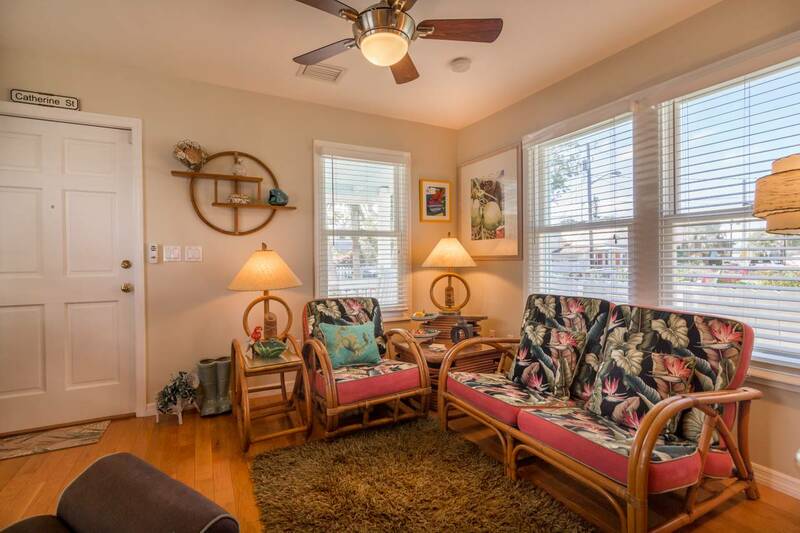 This bright room can serve as a family room for watching TV on the couch or as a place for guests or tenants. 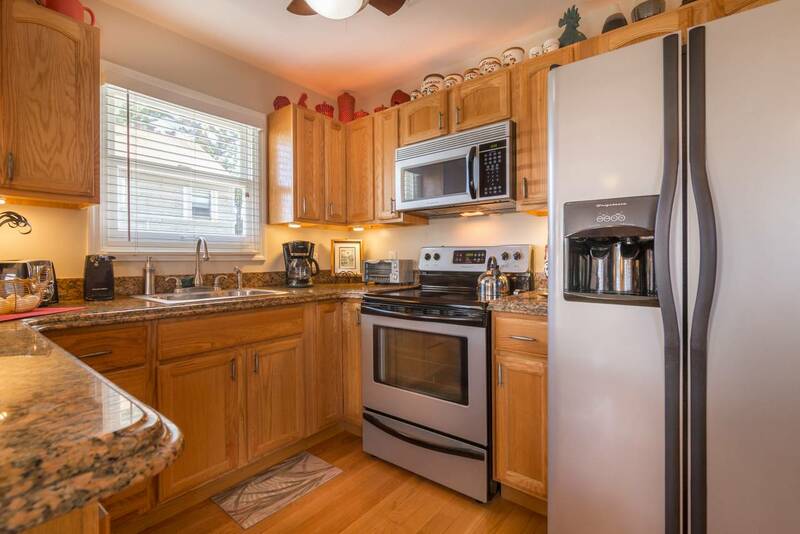 It has a large clerestory window; closets; volume ceiling; a half-bath; and a laundry room with full-size washer and dryer. 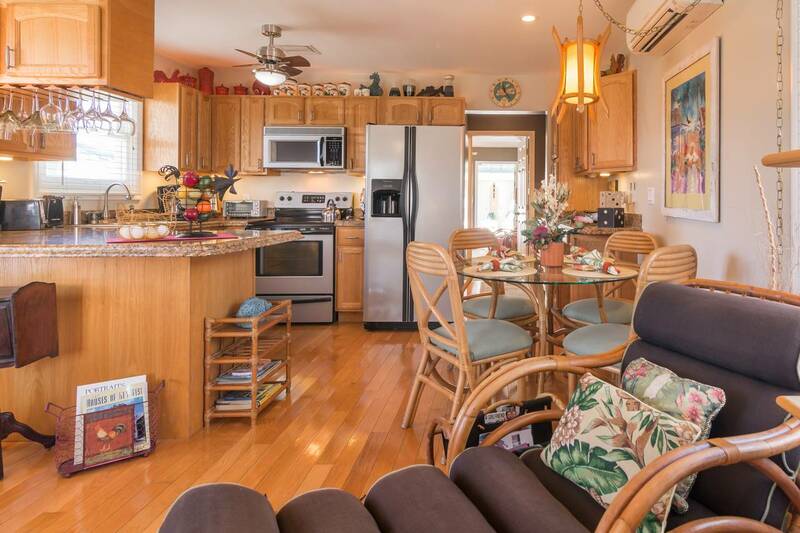 You’ll feel like a real “Conch” staying in Concha Cabana! The property is a smoke-free environment.